Fostering vocations is a component of the One Faith, One Hope, One Love campaign that is often associated with the formation of seminarians at the Athenaeum of Ohio. But another component of that support is the fostering of vocations for lay students as well. Funds from the campaign have allowed the Athenaeum to bolster lay enrollment and assist lay students seeking to further their education and embrace vocations to serve others in the Church. For the last three years, every lay student at the Athenaeum has received a tuition discount for classes because of funds contributed to the One Faith, One Hope, One Love campaign. This has included students in the permanent diaconate program, lay pastoral ministry program as well as lay graduate students and students in non-degree certification programs. In 2017, $176,701 of scholarship money was distributed to lay students. Every lay student in 2017 received a 50% reduction in tuition. This year, each student has continued to receive assistance with a 25% reduction in tuition. Dr. McGurgan said another benefit of the tuition discount has been that students are taking more classes and finishing their degrees and programs earlier. This in-turn provides the opportunity for students to serve and give back to the community quicker. “Whether they serve as a volunteer or a staff member or a teacher, the people of the Archdiocese are the recipients of their knowledge and preparation and formation. I think every parish in our Archdiocese has been touched by an Athenaeum graduate,” said Dr. McGurgan. The Archdiocese of Cincinnati continues to foster vocations with support to the One Faith, One Hope, One Love campaign. Funds for this allocation are given to the Athenaeum of Ohio. In 2017, the Athenaeum received just under of $2.5 million from the campaign. In addition to tuition assistance for lay students, campaign funds were used for capital improvements and endowment growth. 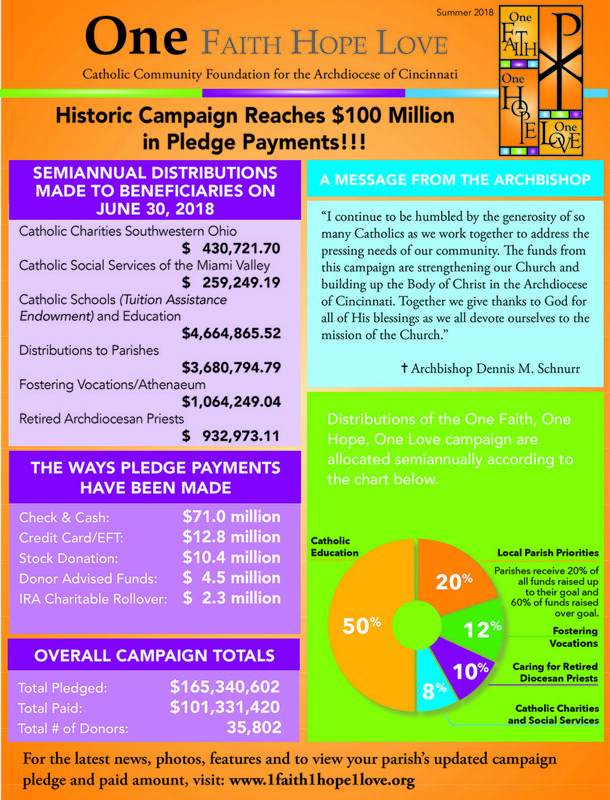 Catholic Charities of Southwestern Ohio is an organization that receives funds from the 1 Faith 1 Hope 1 Love campaign. $139,499 of the 2017 funds were used for Health and Education Programs for Hispanic and Latino immigrants. The follow is reported on their website highlighting Su Casa Success Stories. 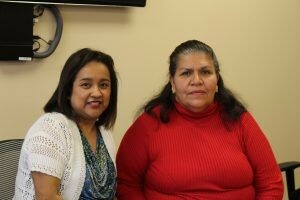 Maria is grateful for Su Casa for providing her with an opportunity to receive her first mammogram at a health fair last year. Her visit led to a biopsy in February, and she’s relieved she’s cancer free. However, as she received this great news, her cousin died of breast cancer. Her cousin lacked access to regular mammograms. Maria didn’t have the money to pay for a mammogram. So now Maria is a vocal proponent of Su Casa’s mammography program and shares her story at her church. Nearly a dozen women responded seeking information. Su Casa Hispanic Center provides free mammograms every month. To schedule an appointment, call Mariela Baltonado Murillo 513-672-3783. The next mammograms will be from 9 am to 3 pm, April 6 outside the Su Casa Hispanic Center at Midpoint Tower in Roselawn. Catholic Social Services of the Miami Valley is an organization that receives funds from the 1 Faith 1 Hope 1 Love campaign. The 2017 funds allowed CSSMV to provide new ways to serve new parents and enhance its support services. The article below first appeared in the Catholic Social Services Summer 2018 Good News magazine. 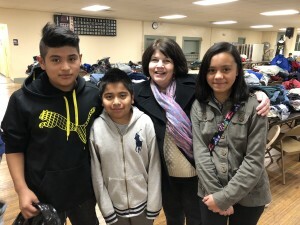 If you ask someone in the Greater Dayton region, “What does Catholic Social Services do?” they will often name some of the agency’s most high-profile programs, such as the Choice Food Pantry or the Refugee Resettlement program. But they are often unaware of the work taking place through the agency’s Pregnancy & Parenting Support programs. In fact, these services are among the agency’s most impactful, making a tangible difference in new parents’ ability to raise healthy, happy children. In 2017, CSSMV’s pregnancy and parenting program served 444 clients and their families, with the majority of those in Montgomery County. According to the Ohio Department of Health, prematurity-related conditions – such as preterm birth before 37 weeks of pregnancy – are the leading cause of infant deaths in Ohio. (Infants are defined as those who haven’t yet reached their first birthday.) Montgomery County has the fifth highest infant mortality rate in the state, a statistic that is simply unacceptable. Catholic Social Services has been participating on Montgomery County’s EveryOne Reach One Infant Mortality Task Force to identify and implement effective ways to increase the number of babies who make it to their first birthdays and beyond. Through the county task force, the Ohio Department of Medicaid has recently made investments in six community initiatives aimed at reducing infant mortality by connecting women and infants to quality health care and care management. With this new funding, CSSMV is partnering with the West Dayton Health Promotion Partnership and Sunlight Village to implement the Family Wellness Community Health Worker Program. The program is designed to increase peer-to-peer support that’s tailored to meet the unique needs of the community, and CSSMV now has two full-time Community Health Workers who are doing community outreach, educating young pregnant and parenting moms of infants (up to the age of one) about infant mortality and making connections to services that can help strengthen their families. For some mothers, having a healthy pregnancy starts with a major life decision: whether to become a parent to their child, or to make an adoption plan. CSSMV offers birth options counseling 24 hours a day, seven days a week, and can provide additional assistance to help ensure a healthy pregnancy and birth. Agency staff are available to support the birth mother and her family as well as the birth father – before, during and after whatever decision they make. CSSMV’s state-certified adoption counselor can provide information about the various adoption options, as well as explaining what to expect from both emotional and legal perspectives. If the decision is to make an adoption plan, a counselor can help connect the birth parents with a trusted adoption agency for placement. For those who decide to parent their child, Catholic Social Services offers a variety of pregnancy and parenting supports. This can start with information and links to community resources for prenatal care, financial assistance, home visiting services, support groups, child care, and other services. 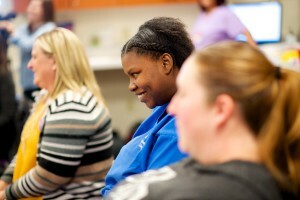 CSSMV can also connect expectant parents with its own ParentLink programs, including the Mothers Empowered prenatal care program, Nurturing Parenting education, and Teen Parents Learn. While promoting healthy births and babies is a key component in CSSMV’s efforts, the agency also understands that a variety of factors in the parents’ lives can help a child – and its entire family – thrive. That’s why CSSMV’s Family Life Coaches work with moms and dads on goals related to their own education, careers, health, and emotional well-being, as well as giving them the knowledge and tools to be confident, empowered parents to their children. 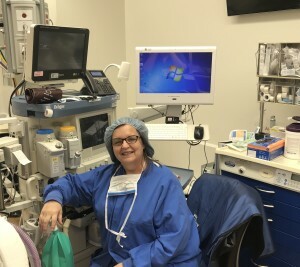 For the past seven years, Catholic Social Services has partnered with Lifestages Centers for Women and the Good Samaritan Hospital Foundation to offer the Mothers Empowered program. In this wraparound support program, Lifestages provides CenteringPregnancy® group prenatal care and CSSMV’s Family Life Coaches provide parenting preparation, nurturing parenting education, home visiting, and community resources case management. The program isn’t just for the expectant mothers; fathers are encouraged to participate as well. Once the babies are born, the Family Life Coaches facilitate ongoing group meetings and offer ongoing one-on-one home visits. Other parenting supports offered by CSSMV include home-based Nurturing Parenting classes with one-on-one support from a Family Life Coach; the Teen Parents Learn program, which helps teenage moms and dads stay in school (or return to school) to graduate with their high school diplomas; and free parenting classes offered at the agency’s Center for Families in Dayton. With the closure of Good Samaritan Hospital, Mothers Empowered needed to find a new home. The program will continue to serve clients at Miami Valley Hospital North (formerly Good Sam North) in Englewood, but it was important to all the partners that the program continue serving the west Dayton community. The search led to the Dr. Charles R. Drew Health Center at 1323 West Third Street, adjacent to the Wright-Dunbar neighborhood. This is one of several facilities operated by Community Health Centers of Greater Dayton, a non-profit corporation with a mission to improve lives by providing quality primary and preventive health care services to those in need, regardless of their ability to pay. As of mid-July, Mothers Empowered has its own classroom space at the center, and services will continue without interruption. For pregnancy and birth options counseling, call (937) 296-1007 ext. 2120 during regular business hours. In the evening or on weekends, call (937) 223-7217, press 3, and leave a confidential message. A counselor will return your call promptly. For information about CSSMV’s other pregnancy and parenting support services, please call (937) 299-LINK (5465). Kevin LeMelle is entering his second year of Theology as a seminarian at the Athenaeum of Ohio. 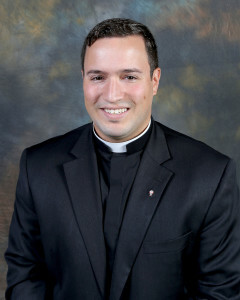 He’s the first seminarian in 40 years from St. Bernard Parish in Springfield. He’s one of the nearly 100 seminarians who are living and studying at the Athenaeum during the fall semester. It’s the time of year when temperatures are starting to drop off, but even with the hottest days of the summer behind him, he still appreciates the central air conditioning installed this past spring in St. Gregory the Great Chapel and the six remaining unairconditioned classrooms. “It would get really hot in the chapel most days,” said Mr. LeMelle. On weekdays, seminarians spend upwards of 2.5 hours a day in prayer in the chapel. They gather for Morning Prayer and daily Mass, midday praying of the Liturgy of the Hours, a Holy Hour, and Evening Prayer. “We’re all very appreciative of this project given the many hours we spend in the chapel,” said Mr. LeMelle. At a cost of $768,399, the air conditioning installation was completed thanks to the generous contributions to the One Faith, One Hope, One Love campaign. 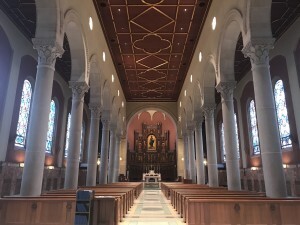 This project is one example of the ongoing capital expenditures needed for improvements and upkeep of the nearly 60-year-old building that houses the main chapel, seminarian rooms and classrooms at the Athenaeum. The east wing of the Athenaeum, which also includes classrooms and seminarian rooms, is nearly 90 years old. Funds from the One Faith, One Hope, One Love campaign continue to foster vocations throughout the Archdiocese. For the current academic year, 49 seminarians for the Archdiocese are in formation at the Athenaeum (total enrollment is 95, with 46 attending from other dioceses). There are 9 college seminarians this year for our Archdiocese; studying at the Pontifical College Josephinum in Columbus or Bishop Simon Brute College in Indianapolis before attending the Athenaeum. In 2017, the Athenaeum received close to $2.5 million dollars from the campaign. In addition to the air conditioning project, campaign funds were used for endowment growth and tuition assistance for lay students. Victoria Ryan has been a volunteer catechist for decades. She took traditional classes to learn about teaching the faith and has been working to pass on the Catholic faith ever since. At her local parish, St. Julie Billiart, she teaches 6th graders on Sundays. In 2017, the Archdiocese of Cincinnati released a new online platform for teachers and catechists to keep up to date on their religion teaching certification. The program is called Vocare, which means “Called to Teach.” This web-based platform was designed and launched with funding from the One Faith, One Hope, One Love capital campaign. The classes involve several forms of media, including instructional videos, graphics, music, and reading material. It was an adjustment for some teachers and catechists to transition to the web-based learning program, but after the first year of use, organizers are confident that more and more users will become comfortable with the platform. “We have heard feedback from users that once they get over that initial shock of coming into online learning, they actually enjoy the flexibility and convenience of completing courses at home,” said Andrea Patch, who manages the curriculum for Vocare at the Archdiocese. Currently, more than 3,400 users are active on the Vocare system. An increase in users is expected with the start of the new school. To assist new users, support is provided by Vocare staff members at the Archdiocese. For more information or questions about Vocare, call 513-421-3131 or email VocareSupport@CatholicCincinnati.org. Thanks to generosity of thousands, the One Faith, One Hope, One Love capital campaign has surpassed $100 million in pledge payments! Check out the bulletin insert below for more details about the continued success of this historic campaign. Click here for a PDF version of the bulletin insert. Congratulations to the students that participated in the Summer School program this year in Dayton! 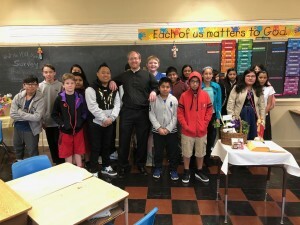 Dayton Summer School was made possible through donations to the 1 Faith, 1 Hope, 1 Love campaign in the Archdiocese of Cincinnati. The Dayton Summer School program completed its 10th year this past summer with 80 students participating. The program runs for 4 weeks and is designed to help struggling students in kindergarten through 7th grade maintain and increase their knowledge in Math and English/Language Arts over the summer break. Contributions from the One Faith, One Hope, One Love campaign provided $40,000 to help cover the cost to operate the program. Tuition cost for families is $100 for the first child and $50 for each additional child. To help measure the program’s effectiveness, students are given a pre-assessment and a post-assessment. This year, 89% of the students demonstrated an improvement in Math and 83% improved in English/Language Arts. Breakfast and lunch are also provided daily, along with bus service from neighboring locations for students needing transportation. “Many of our students live in struggling neighborhoods, so this program offers a healthy and productive environment for them to be a part of for a good portion of the summer,” said Lindsey Ropp who runs the program with Monica Haus. Both Ms. Ropp and Ms. Haus agree that the small class sizes, around 10 students per teacher, has a very positive impact on students’ overall growth and well-being. “In addition to helping academically, teachers can also focus on meeting the social and emotional needs of the children. They’re able to develop a healthy relationship where the students see them as role models,” said Ms. Haus.